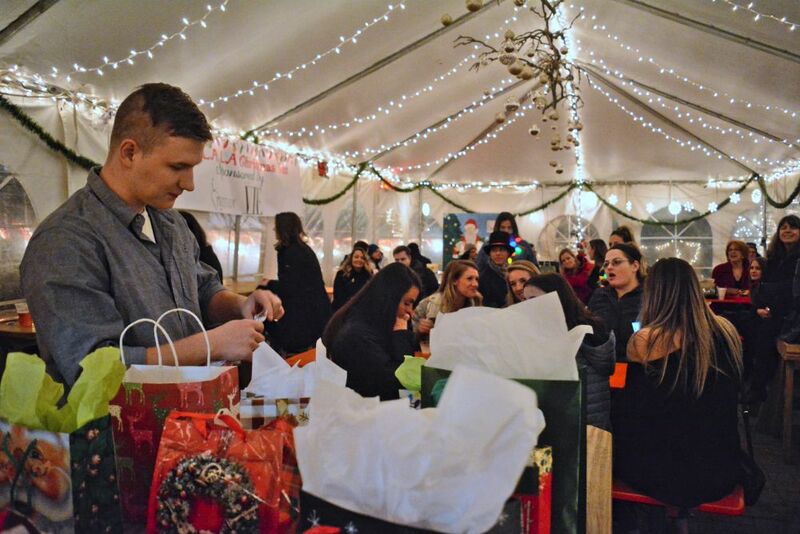 It’s been a holly jolly good time at downtown Leesburg’s Christmas pop-up bar, Fa La La, in its inaugural season. The restaurant at 14 E. Loudoun St. opened its doors to the public ahead of the Thanksgiving holiday, and has been dishing up Christmas cheer ever since. Crabs and all things nautical from the former Captain Catoctin’s Crabs & Concoctions’ restaurant have made way for tinsel, holly and plenty of good cheer, with every night at Fa La La representing a new holiday theme. There have been trivia nights aplenty, theme nights for everything from ugly sweaters to “Bad Moms,” and of course, plenty of eggnog, mulled wine and other holiday cocktails. It’s the brainchild of owner Nils Schnibbe and wife, Olivia, who is credited with rolling out the nightly themes that have attracted the masses to the pop-up bar. It’s quickly won the reputation of a lively, festive, can’t-miss holiday feature, with hundreds filling the backyard tent on weekend nights and even weekdays attracting quite the crowd. Schnibbe confirmed this week that Fa La La will return for the 2018 holiday season. Fa La La will continue through the end of February, switching to more of a “winter wonderland” theme after New Year’s festivities are complete, Schnibbe said. A big New Year’s Eve bash is also planned, with no tickets needed, he said. After February, a new concept will debut before Fa La La’s holiday reprisal, although Schnibbe declined to share details. For more information on the restaurants, go to facebook.com/falalaleesburg or facebook.com/SideBarLBG. The owners of Captain Catoctin’s Crabs & Concoctions’ transformed the space into a pop-up bar called Fa La La. 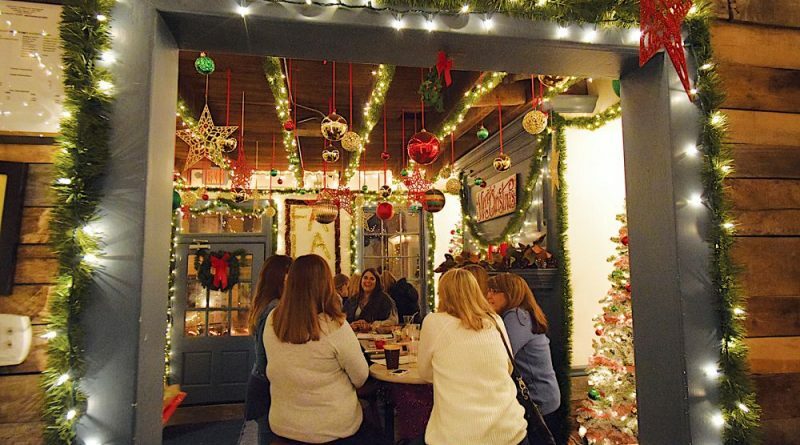 It’s become Leesburg’s go-to spot for holiday-themed drinks and snacks.